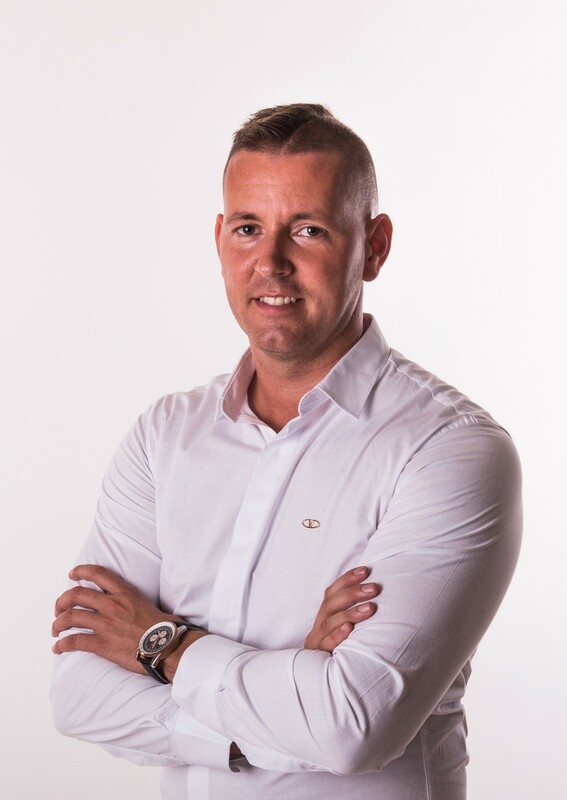 Party glasses that stand out best at the disco, at the club, at a party or festival is the right investment for you if you want to attract, and be especially cool. Party glasses - red - great fun at parties, discos, etc.. El glasses for good price - buy online. 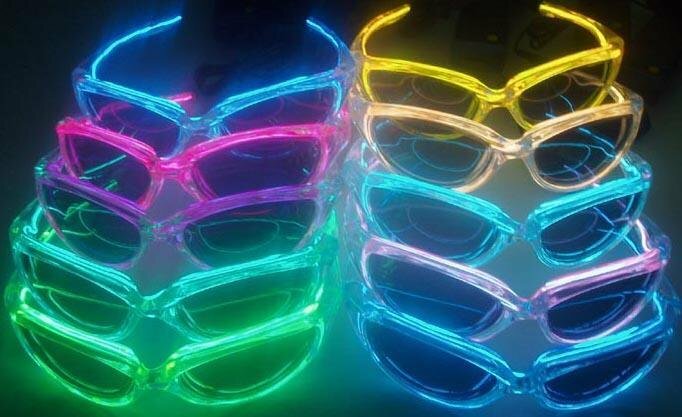 Light up glasses in many colours. 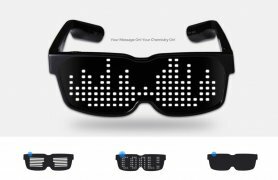 Now you too can wear your sunglasses at night with our Light Up Electro EL Sunglasses! 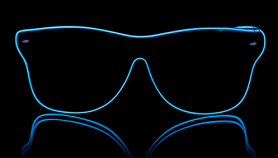 By using the latest in electroluminescent (EL Wire) technology and merging it with the latest design in sunglasses, we have quite possibly made the coolest thing ever: Light Up Sunglasses. LED Sunglasses are great fun at night clubs, school dances, parties and make great gifts! 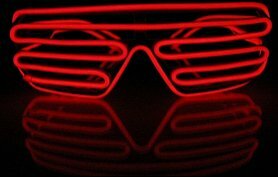 Just select if you want the strobe effect or the steady on effect and the EL Wire running through the frame of the Electro EL Sunglasses lights up to make your night go crazy!